When the demands are huge, the machine needs to perform. ASV machines can operate at maximum capacity the entire day, so you don't have to slow down until the job is finished. The forestry world can be hard and unforgiving. We build our machines to be up to the task. They operate at top speeds, for longer to ensure that when you need to get the job done you can—every time. 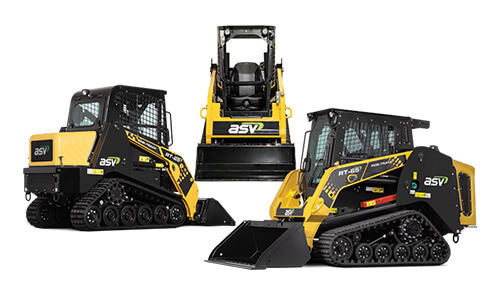 ASV makes machines that have max power and torque to go with an unparalleled cooling capacity. We do this for operators who need large attachments to work for a long time without slowing down or overheating. Mulching, brush cutting, and highway/utility work are hard work—but with an ASV they’re not difficult work. Our forestry machines feature efficient, innovative high capacity cooling systems that give you the ability to operate at 100% capacity, 100% of the time, up to 118°. Built for comfort and safety, our forestry machines offer suspension to keep your ride smooth on the forest floor, high cab pressurization, heavy duty cabs, a falling object protective structure and reinforced impact-resistant windows. ASV offers easy access to a reliable Cummins engine through a three-panel hood and tilting cooler arrangement. Along with easy access, our machines are designed with sight gauges for both hydraulic oil and coolant.